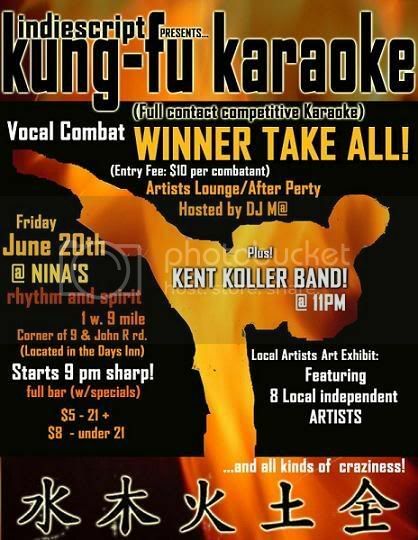 TOMORROW NIGHT … FRIDAY THE 20th – KUNG FU KARAOKE – Winner take all! Hosted by The one and only…Millionaire! Second place wins weekend accommodations at the Hotel and dinner for two at Ninas Restaurant. Come sing a song and get ridiculous. This entry was posted on Friday, June 20th, 2008 at 3:42 pm. It is filed under Blog, Culture, Education, Events, Humor, Live Event, Local, Music, Posts, The Arts. You can follow any responses to this entry through the RSS 2.0 feed.